This is the first ever clash between these two sides but you need a history book to tell you that the Moscow side are clear favourites for this game. Even though many teams don’t like coming to Turkey and facing a noisy and passionate support, CSKA Moscow are in flying form and looking to extend their 3-0 record. This is a time for big players to stand up and the form of Jamon Gordon will provide the hosts with some hope for this game. With a 1-2 record after 3 games, the Turkish side understands the importance of home wins but this is a different task and proposition. They’ll need to be strong, physical and go toe to toe with Moscow because if they don’t, they’ll be bulldozed like so many other teams. 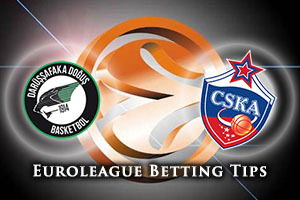 Milko Bjelica and Luke Harangody may be able to open the game up and there is some hope for the Istanbul side, even if they need a lot of things to fall in their favour. Will Nando De Colo make the difference again? Nando De Colo has been in fine form this campaign and although he may face a tough time against his former team-mate Manuchar Markoishvilli, you can expect to see De Colo in the thick of it in this one. 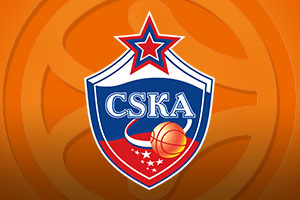 With players like Kyle Hines and Andrei Vorontsevich offering a great deal of excitement for the away team, this is a CSKA side that is able to offer power and technical play. The away side will be confident in winning another game but they cannot let their standards slip in Istanbul or they may find that they are on the end of an upset. You can take CSKA Moscow at -10, at odds of 1.90, for this game which is a good enough bet for a side on such a good run of form. If you have an interest in the Over/Under market, you should look to go OVER 161.0 at odds of 1.90. Bet Now!